After all these years, much of the technical superiority of Breaking Bad does not look so unassailable. Breathtaking photography, emotion appropriate editing, use of topography-making the landscape a protagonist, using heartbreakingly normal situations to enact epic questions of humanity and great acting have become rather common and do not count for insurmountable strategic advantage. Great TV in Fargo, The Fall, Luther, True Detective, Orange is the New Black, lately, American Gods etc have amply demonstrated that these aspects, though making for a sustained advantage, are replicable with similar success. Then, what makes series like Breaking Bad a classic, first among equals and account for such high degree of sustained cult popularity coupled with mainstream acclaim? Answer to my mind is that none of the other contender have this dense collection of great characters. Each and every character of Breaking Bad is significant enough to have a personality and interesting background story worthy of an independent spin off series- Better Call Saul is one highly rewarding example. Though Walt and Jesse get most of the screen time and their character ticks are most microscopically presented, but none of the significant characters are peripheral. 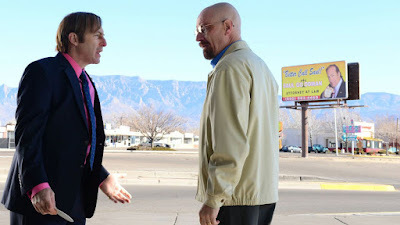 Mike, Gustav Frig, Skyler, Hank, Marie, Todd, Lydia or the kids (including the infant-Holly), and, off course, Saul Goodman have been invested with strong personalities. They are all people who make for great partners but never can be relegated to the status of a tool or paid employee. Bit characters like Uncle Jack of Todd or the Vacuum guy, Badger and Skinny Pate have a quality of permanence that carries them through for a very long series spanning over five seasons. 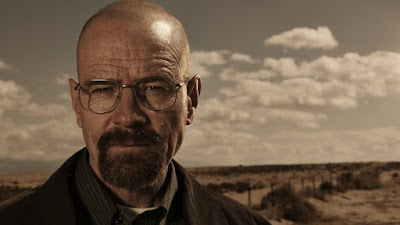 Other series too have memorable characters and some of them are permanent fixture of TV pantheon but Vince Gilligan has created an unprecedented constellation of great characters and placed them in a perfect story. Command over the progression of the story- often tricky in long series, is pitch perfect and creates a narrative which forces the viewers to stay invested in the fates of the characters. A character grows on the audience in the alchemy of paradox. The character needs to be immediately clear also and it should have an element of surprise – joy of deciphering or unraveling. Gustav Frig is a character that has coiled neatness about him. We know he has more to him than meets the eye. We take delight in discovering his backstory, innate decency, capacity for violence or capacity for revenge. Mike too portrays his reliable solidity immediately but we take pleasure in discovering his languid approach, his softer aspects, his supreme efficiency in what he does. Hank comes as an amiable lout of a detective. His detective skills and uncorruptibility is immediately evident. We love his tenacity and fragilities. Ladies, Skyler, Marie and Lydia have fully developed character arch complete with flaws and undiluted capacity to give. Lydia’s greed, absolute self centeredness and paranoid ambition simply shine through in the limited number of scenes that she had. Todd’s type gets established in efficient strokes and a high functioning sociopath was established in few quick scenes. In short, strong characterization is the main strength of this much awarded show and a quality that can’t be copied very easily. Other technical virtues, mentioned in the beginning may be easy to copy but their standard in Breaking Bad is nothing short of outstanding. Spare, sparse landscape of New Mexico complements the rugged mood of the topic and creates a neo western aura around the show which serves it well. Photography and editing are elegant and their cleverness contributes and doesn’t distract. Angle shots from inside safe, barrels table top etc add urgency. Close ups, play with depths, wipes are plenty but never come in the way of story telling and only add to the atmosphere. The mixture of operatic ambition in technical aspects, epic aspirations in latent messages on the one hand and resolute everydayness of the settings worked well for the show. The family, household, neighborhood, office, car wash, dresses, bit characters at gas stations, department stores and look and feel was kept real. Sense of grandeur came from the sweep of story, photography and far reaching changes that the situations brought I the characters. This has a quality of a great literature- almost Shakespearean. Even for a binge watch, the show did not lose its story thread and one cannot but marvel at the impeccable continuity and controlled arch of the story. 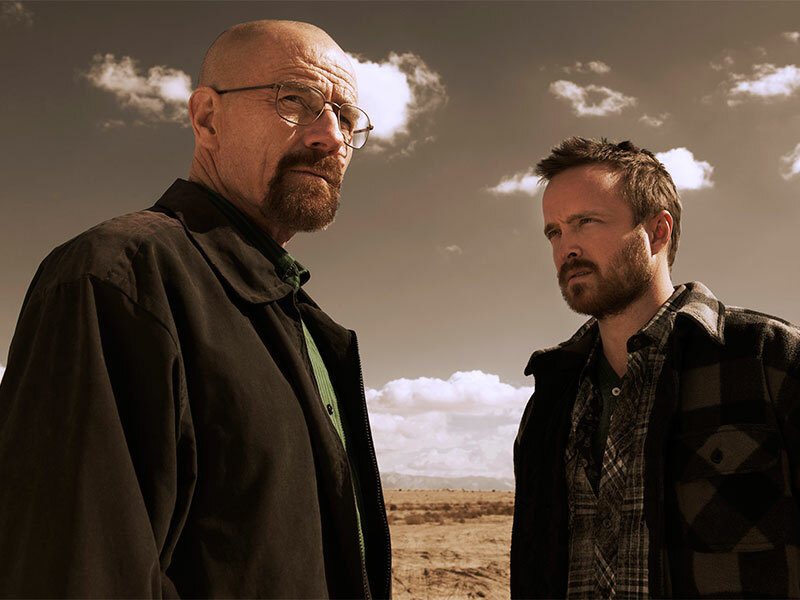 Breaking Bad is compelling television, the best of its kind. It will continue to attract lovers of quality TV for a long time.